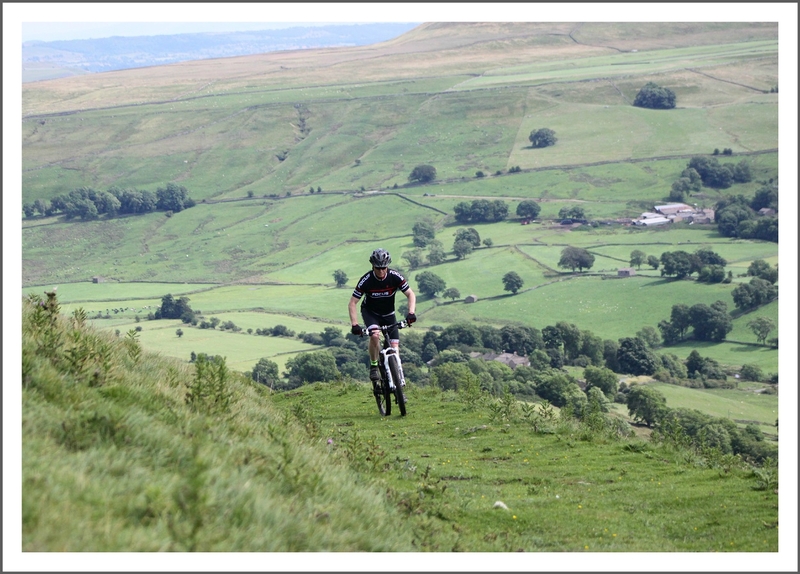 We’ve listed a selection of the best mtb routes in the Yorkshire Dales and surrounding areas. Many of the routes can be linked quite easily to take you further and increase the challenge. They are designed in the main as bite size chunks that will provide excellent rides for most abilities. This ride was added to our database to celebrate Natural England’s decision to extend the Yorkshire Dales National Park westward. It’s a short spin, eminently suitable for an evening ride, but could be extended further west to make a longer ride. A ride that maximizes the extensive bridleways in the area, to bring a finish with an epic 4 mile descent on sweeping tracks. Excellent climbs and great descents, twisting their way across the Dales, this ride will leave you with big grins all round. This is an excellent evening ride or one for a slow afternoon. It climbs dramatically up the fellside above Wensleydale on good tracks. This is a cracking mid-morning or early evening ride over some fantastic Moorland. It has some superb steep and rocky Dales descents along the way. The views are spectacular as the routes crosses moorland tracks and rises and falls with spectacular descents all day long. An excellent loop straddling the main watershed of Northern England. The initial climb is brawny but surprisingly do-able and both big descents are to-die-for. This route is a superb winter night ride – so long as all the ice has cleared! The green lanes are safe and fast, and the climb up onto the moor opens up great night skies. This will leave you with a great big grin on your face, and remind you to come back again for more of the same. It’s only the distance that stops it being classed as a hard route. Setting out from Healaugh this route climbs straight away – sorry Garry. The track is however good and allows you to gain height. This is a fantastically varied ride through the heart of the Dales. It packs in five serious climbs and enough teeth-rattling descents to leave the keenest rider satisfied. These hills provide an unparalleled riding experience – smooth surfaces, stunning views and a wealth of bridleways. This corner of Cumbria is massively overlooked in favour of the famous haunts but proves to be pleasant, rolling limestone country. Although not our hardest route, it covers some rough ground and takes you into the real Dales, as you circumnavigate Ingleborough. I can categorically state that the last few steppy sections to the summit are totally unrideable to mortals. The riding around here is extremely steep and wonderful. So pack a camera, tubes, tools, a map and off you go! The mountain biking in this route is superb, tarmac lanes leading into rocky but well defined track around Kirby Malzeard Moor. This is a tough but magnificent loop around the North-Western Dales involving five substantial climbs and some wild, remote trails. A 2 hour ride up and over Swaledale moorlands with steep ascents & descents, starting with a killer climb. If you’re looking for a great ride for older kids and families in the Yorkshire Dales, between 10 and 25 km, then this is the one. One of the classic routes in the Dales, with an awesome descent to finish off, flying down to Wharfdale. Taking in some of the best tracks that Swaledale has to offer, this uses well defined and accessible moorland tracks, as well as bridleways, to produce a great ride. This ride is an excellent trip out, with some hard climbs matched by superb descents. The climb to Middlesmoor will test all riders, and you may want to stop to enjoy the view at the top – it is fantastic.
. The route bestrides the main watershed of northern England so there are a couple of substantial climbs, but these are partly alleviated by tarmac. The track is good and reasonably level, with enough undulation for the odd freewheeling. From Pateley Bridge take the road signed Ramsgill and Lofthouse. Steep climbs, rocky trails, and fast descents to die for. This route forms part of a loop within the Pennine Bridleway, but is a superb outing on its own. This is a fantastic route, bringing together some superb elements: the Settle Loop; Mastiles Lane; and Old Cote Moor – a fantastic three course meal. Here’s one for the younger members of the family; an easy ride from the Fountain’s Abbey visitor’s centre, through the deer park and back again for Brymor ice cream – the best anywhere. We wanted to throw in an easy opportunity for the younger kids to ride a section of the Tour de France and also enjoy some of Swaledale’s great tracks. This way they can make a choice in terms of where they think their cycling lies. This is a hard route from the word go. The tracks are great but tricky in places with technical twists. They will shake, rattle and roll you through Swaledale. The superb section of singletrack will make you twist and shout. From the moment that you take to the saddle, the road climbs steeply, leading onto a further 3 1/2 mile climb along the Cam Road. Even the descent into Hawes from Cam Houses takes some technical skill and will test your fitness. Steep climbs on limestone meadows, rocky descents where ‘speed is your friend’ if well controlled, with the odd rolling section thrown in on the Pennine Bridleway. good climbs on road and trail and a great descent on the hard but loose tracks down Pinseat. Flowing tracks along the river make this a great and steady day out and a super intro to riding Swaledale. This traverses the hills of splendid Wensleydale, peeking over into Swaledale, before an epic descent of Peatmoor Lane. This and the ‘Carpeby *’ route would make an excellent trip north for anyone. This ride describes a loop around the Cinderella hill, taking in some beautiful Dales scenery and a good variety of under-tyre surfaces. It has climbs to test all riders, and descents to live in the memory for weeks. Winding its way across Swaledale, keeping height where necessary, and losing it where it’s fun to do so. It brings in some singletrack that is sweet and secret, due to its hidden nature.